From December 19, 2012 - January 8, 2013, the all-villa, exclusive resort is adding special value, inviting vacationers to "Come to Paradise for the Holidays." 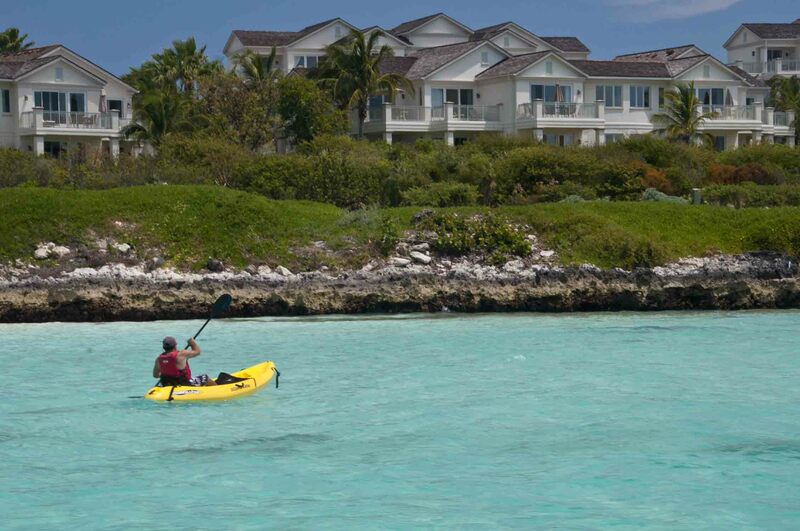 Escape the stress and non-stop schedule of the holiday season with a relaxing retreat at the award-winning - "Gem of the Bahamas" Grand Isle Resort & Spa, on pristine Emerald Bay in Great Exuma. From December 19, 2012 - January 8, 2013, the all-villa, exclusive resort is adding special value, inviting vacationers to "Come to Paradise for the Holidays." Guests staying three consecutive nights will receive a complimentary fourth night. For those staying five or more nights, an additional two are complimentary. A bottle of champagne and $125 resort credit for dining and spa treatments will also welcome guests for the holidays. Having just unveiled the newly renovated Palapa Grill, Grand Isle will launch its holiday celebration with a special prix fixe Christmas Day dinner for resort guests, with selections from roasted pumpkin and sweet potato bisque, to a turkey and ham duo, and a choice of delicious desserts. For $45 per person (and $17 for children ages 11 and under), guests can enjoy the relaxed Caribbean ambience and al fresco dining. Guests staying to welcome in 2013 will enjoy a festive New Year‘s Eve that combines great food, fantastic reggae music from a local rake 'n‘ scrape band, dancing under the stars, and a toast with champagne or our signature Exuma Blue cocktail as the night sky lights up with midnight fireworks. The dinner and party (exclusive of beverages) is $85 per person - party only is $25 (children 11 and under may attend for $30 or $15 respectively). Advanced Reservations for both celebrations should be made by December 21st through the Concierge at 242.358.5000. 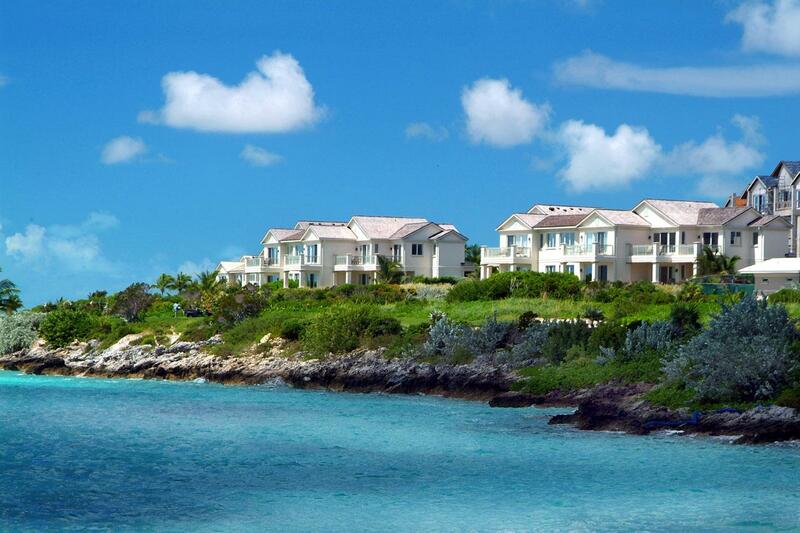 Accommodations at Grand Isle offer unique 'home away from home‘ comfort with spacious, well-appointed villas that include one- to three- bedrooms, lush garden and panoramic ocean views, and a fully equipped kitchen. There are also two exceptional four-bedroom penthouses that offer the ultimate in luxury surroundings. Daily holiday rates at Grand Isle start from $550 for one-bedroom villas; $850 for two bedrooms; $1,200 for three bedrooms; and $2,400 for the Penthouses, and vary according to view. To "Come to Paradise for The Holidays," call 214.393.2841 (US Direct), e-mail reservations(at)grandisleresort.com , or book online at http://www.grandisleresort.com. Use PROMO Code Holidays3 for one complimentary night and PROMO Code Holidays5 for two additional nights. Certain restrictions apply. Grand Isle Reservations Specialists can also assist with making airfare reservations for convenient one-stop travel planning. Local residents of Exuma celebrate the Holidays in a big way, with an emphasis on extended family gatherings. Christmas trees are decorated with twinkling lights and sparkling tinsel, and families exchange gifts by picking a name from a basket. On Christmas Day, it‘s all about turkey, macaroni with cheese, fiddle green salad, a variety of homemade breads - including Caribbean Johnny Cake - and coconut tarts for dessert. Sky Juice, a traditional mixture of coconut water, gin and sweet milk, accompanies every holiday meal. And after a long day of celebrating, the festivities continue for Boxing Day on December 26th, where people gather at local clubs to welcome in Junkanoo, a Bahamian festival like Carnival or Mardi Gras. At Grand Isle, guests can join in on our Exuma Christmas spirit with a holiday tree decorated with ornaments that have been hand-crafted by staffers, and Bahamian versions of familiar carols. A colorful regatta of visiting sail boats and luxury yachts will also please onlookers who stay over for the New Year celebration. 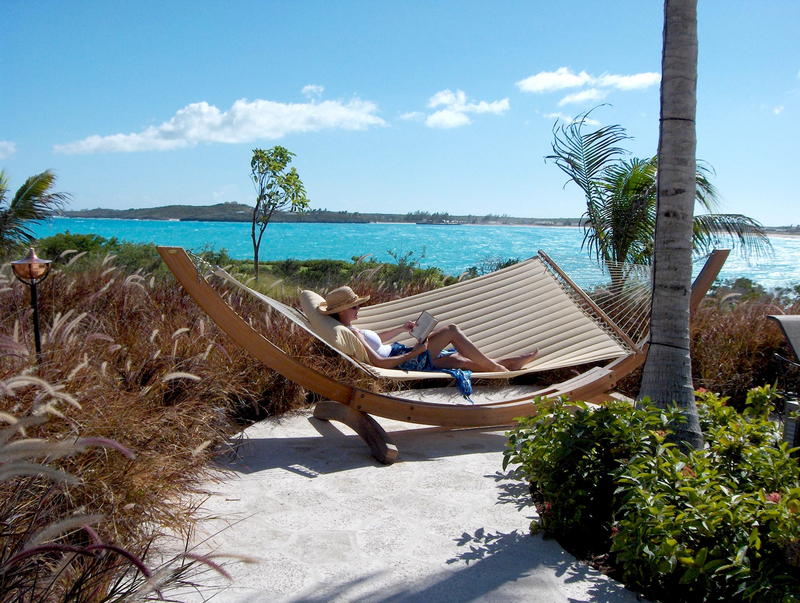 Spending the holidays under the sunny skies of Great Exuma is the perfect excuse to put away the laptop, turn off the smart phone, and relax - the Grand Isle way. 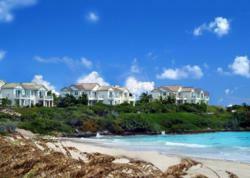 Grand Isle is one of the finest resorts in the Caribbean and is the perfect location for a Bahamas Out Islands vacation. Ideally suited for family holidays, romantic getaways, destination weddings and honeymoons, or for simply enjoying the beach, a luxury villa vacation at Grand Isle is an experience never to be forgotten. Villas are available for sale or rent. Contact reservations at 866.380.5213 (US toll-free), 214.393.2841 (US direct) or reservations(at)grandisleresort.com. Let us book both your air and hotel reservations for convenient one-stop travel planning. Visit http://www.GrandIsleResort.com for more information. To help visualize the beauty of the island’s pristine beaches, multi-hued turquoise seas, unique attractions, and authentic local lifestyle, the Grand Isle Digital Brochure offers a video show, 360o tours of the villas and resort grounds, and lifestyle photos. DCM Hospitality (DCM) offers a wealth of consulting, management and reservation services designed to suit the specific needs of luxury resort communities. DCM personifies stellar delivery and offers Owner, Developer, and Hotel program benefits that drive success. Established in 2005, DCM offers services that address every stage of resort management. We are second to none when it comes to providing the ultimate luxury living experience within Private Residence Clubs and Boutique Hotels in popular vacation destinations in the U.S., Bahamas and Europe. Call 972.851.0680 (US direct) or e mail info(at)dcmhospitality.com. Visit http://www.dcmhospitality.com or http://www.dcmhospitalityrentals.com for more information. You, too, can experience the difference.